Route to a full unrestricted Category A licence: CBT course - motorcycle theory test module 1 test - module 2 test. 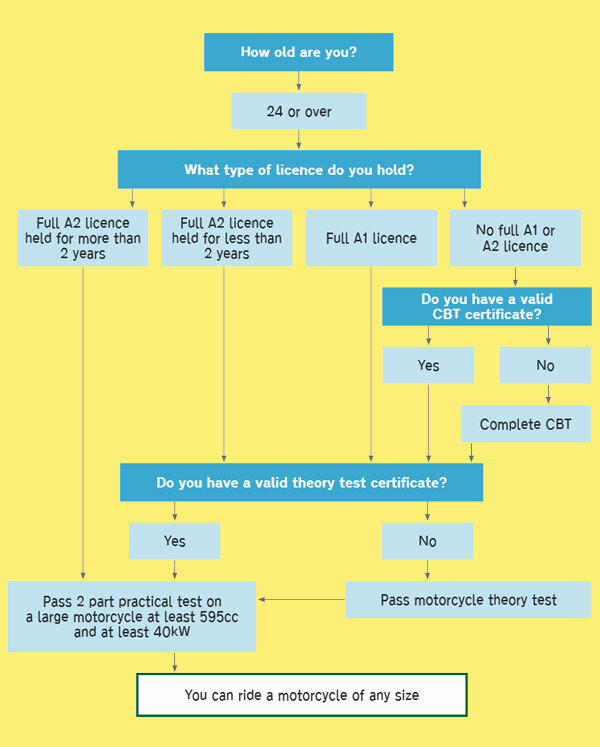 If you hold a full Category A1 or A2 licence you do not need to re-take the CBT course or theory test. The Direct Access Scheme requires you to take your tests on a bike which is a minimum of 595cc with at least 53.6bhp (40kw). We supply suitable 600cc motorcycles for this purpose. Whether you are a new rider who wants an unrestricted licence or an experienced rider progressing to a bigger bike, we can provide the training you need.